In the past few years, a common retort that has become people while dealing with criticisms about India is “go to X country?”. And it’s applied on everything from politics, social culture, academia, movies, celebrities, you name it. A more aggressive form of this discourse leads to being labelled as “anti-nationals” or “anti-Indian”. And do you know who else is a fan of taking this approach? Well, the secret’s in the title. It’s none other than the captain of India’s men’s cricket team, Virat Kohli. 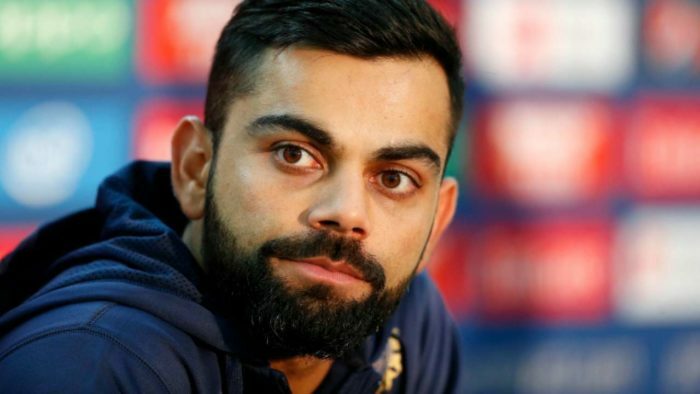 Twitter was rightfully taken aback by this statement and reminded Virat Kohli about his love for other countries, brands, football teams and sportspeople. 1. Is he a man of his words? 4. Cricket is a religion in India but it’s not exactly an Indian game. 5. Somebody’s not mincing their words. 6. Brace yourselves. Bahanas are coming. 7. Maybe he learnt something after that. 8. Ego acche acchon ki vaat laga deta hai. 9. Rename Audi to Audeshwar and problem solved! 11. The man who smiles is deadly serious. 12. There’s nothing wrong with that. 13. It looked like an iPhone. And don't you endorse Audi, Puma and Tissot, @imVkohli? 14. Do not tempt him. 15. Let’s hope Virat brings him to India. Fan: I enjoy watching Australian batsmen. Virat Kohli: Don’t live in India if you love batsmen from other countries. Anushka: Baby, maine likha tha woh. Kohli: Awww, chalo Australia ghum ke aate hai. 18. Na ghar ka na ghat ka. As the exact source of this video is not clear, it might be our version of Jimmy Kimmel’s “Mean Tweets”. It’s a segment where celebs respond to, as the title suggests, mean tweets from people in an equally offensive manner. So, maybe Virat’s response was a sarcastic one. However, if it’s not, Virat needs a reality check about the fact that in a population of 1.3 billion people, everyone can like anything and that doesn’t diminish an ounce of their Indian-ness.